•Simple & easy way to cool legs after XC, work or injury. •Unique water reactive crystals within boots swell & retain cold when soaked in water. 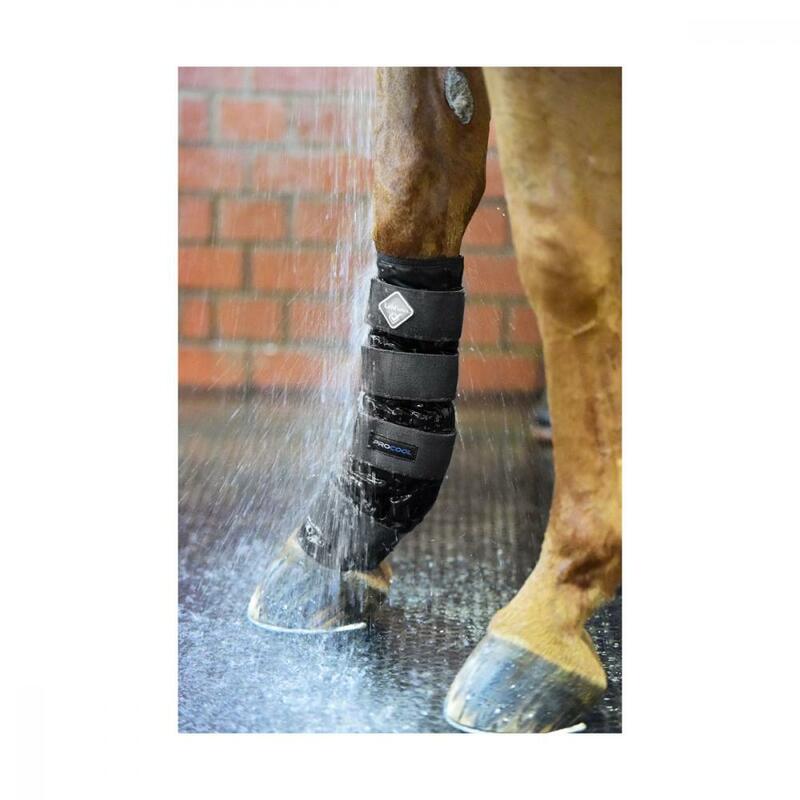 •Contoured shape supports the fetlock & tendon preventing slipping. •Can be re-used multiple times. There are currently no questions for LeMieux ProCool Cold Water Boots - be the first to ask one!